the world extensively before settling in the United States. Tahoe Bonanza, the Nevada Appeal of Carson City in Nevada. Award of Distinction for 2008-2009.
with a well-known print maker in the San Luis valley. Hollywood, California; Ritz-Carlton at Lake Oconee, GA.; Haley.Donovan, Architects, Haddonfield, NJ. Datacert Inc., Houston, Texas; TravelTalk Radio, San Diego, CA., and Entergy Power Company, New Orleans, Louisiana. driving a big rig around the Lower 48 and Canada. 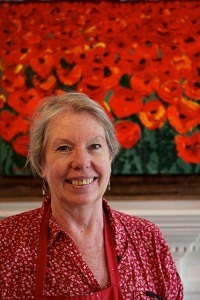 Anne’s main interests are art, writing, music, travel and good food enjoyed with wine and friends. Her mission statement simply put is: To have fun and beat the starving artist rap.